We saw this guy at the rooftop lounge at Hotel Erwin in Venice Beach. 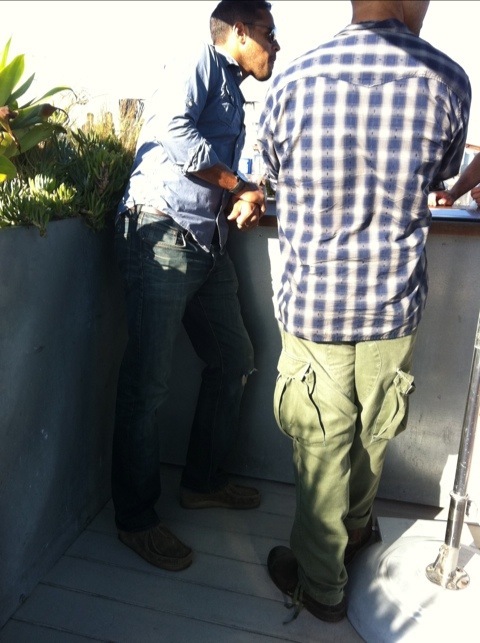 Couldn’t make out the jeans, but he was wearing a dope denim shirt by Scotch & Soda. This entry was posted on Monday, September 5th, 2011 at 12:56 pm	and tagged with Amsterdam, Canadian Tuxedo, Denim, Fashion, Hotel Erwin, Los Angeles, Scotch & Soda, Venice, Venice Beach and posted in In The Wild. You can follow any responses to this entry through the RSS 2.0 feed.